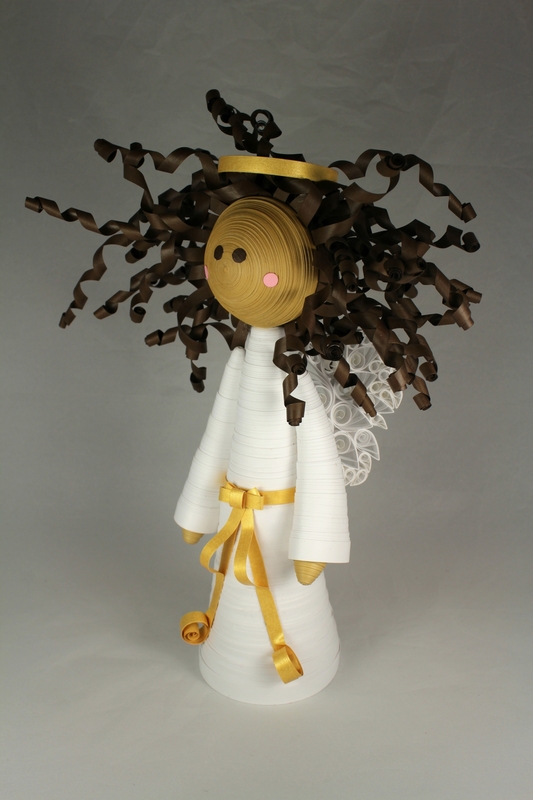 This exquisite ethereal angel tree topper is a herald of the magic and blessings of Christmas. 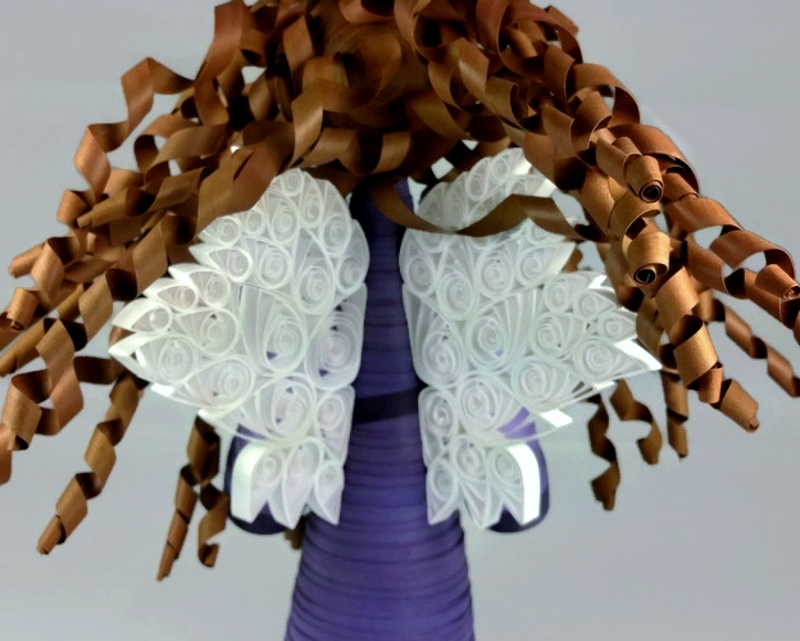 She was lovingly made using paper quilling techniques and is indeed, 100% paper. 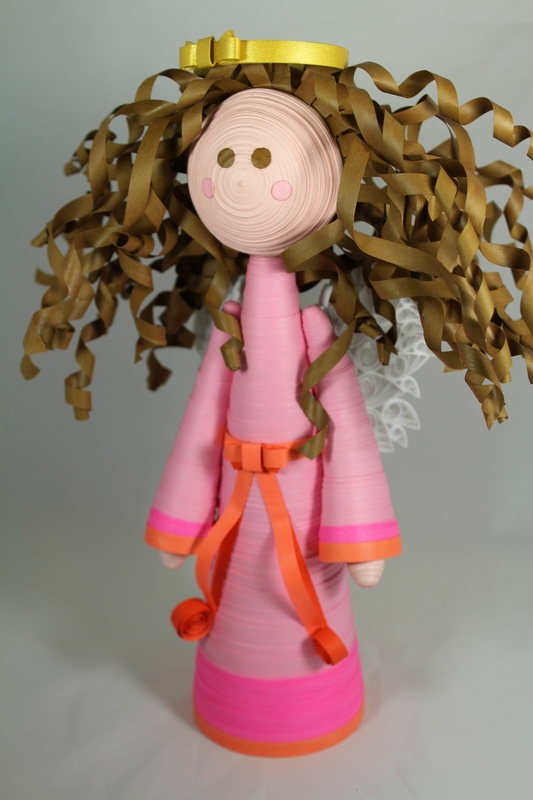 She will look over your home from atop your beautiful tree, imparting the perfect mix of tradition and whimsy. 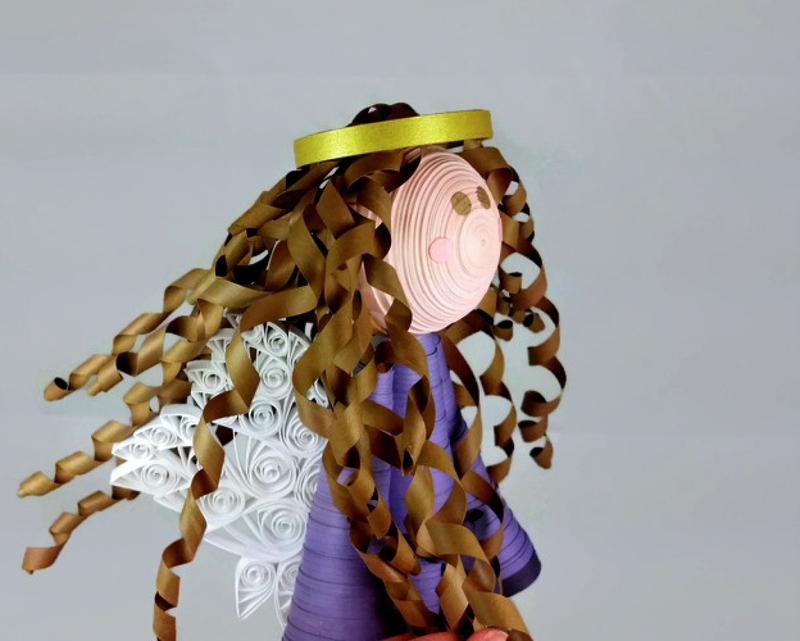 This angel is approximately nine inches tall. 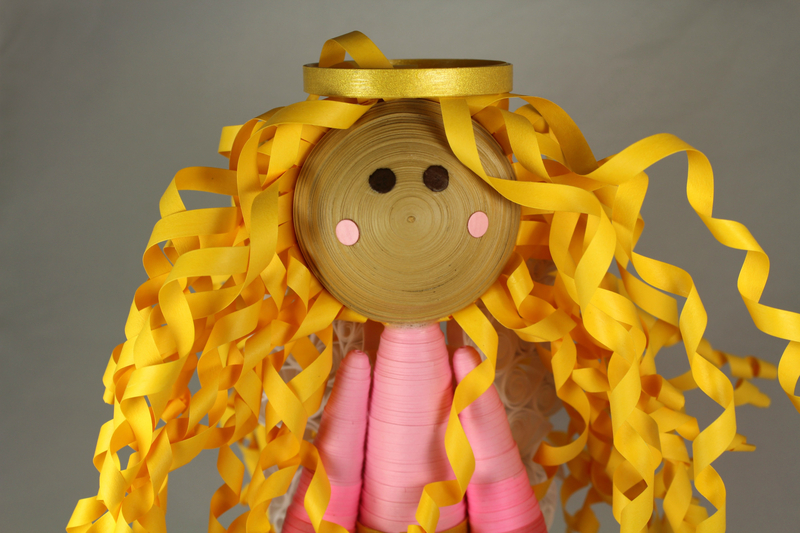 She has bouncy curly hair, a sweet little face, and wears an flowing angel dress with a festive bow, sash, and trim. 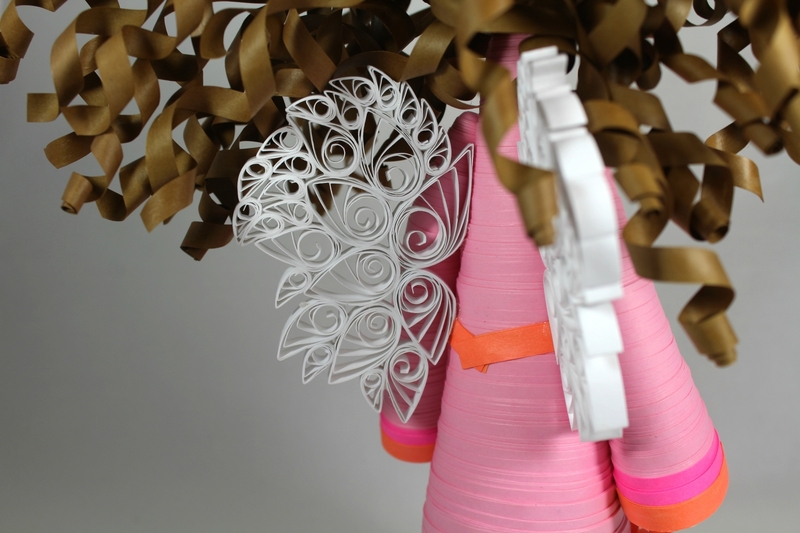 A golden halo adorns her head and she has stunning "feather" wings. 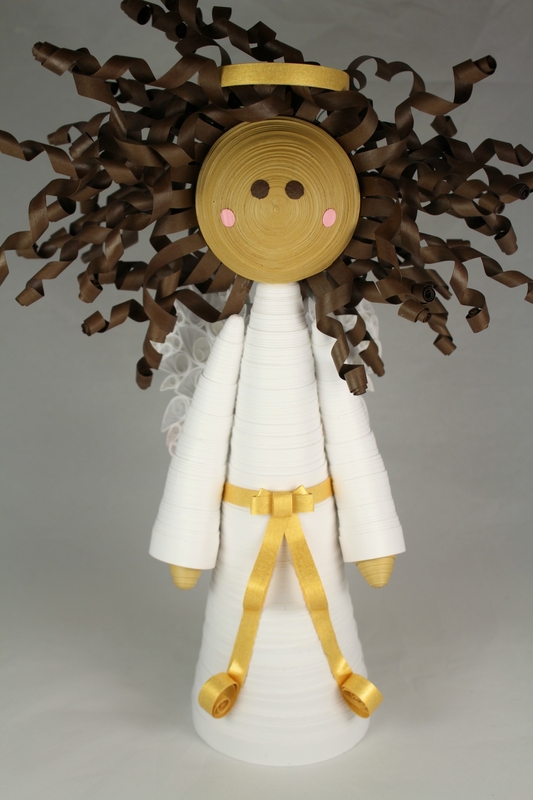 Because she is made of paper, this charming angel is lightweight and will not make your tree branches droop! 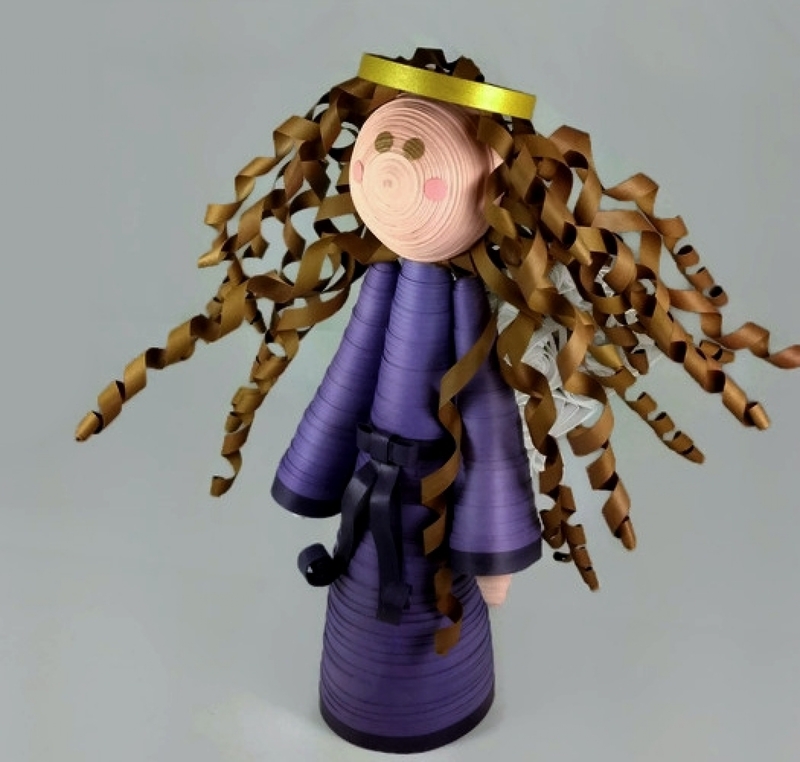 She has a hollow base so she can stand or be placed on the top of a tree. She has been carefully hand painted in a sealant which makes her water resistant and UV resistant. She is sturdy and will not fade over time. 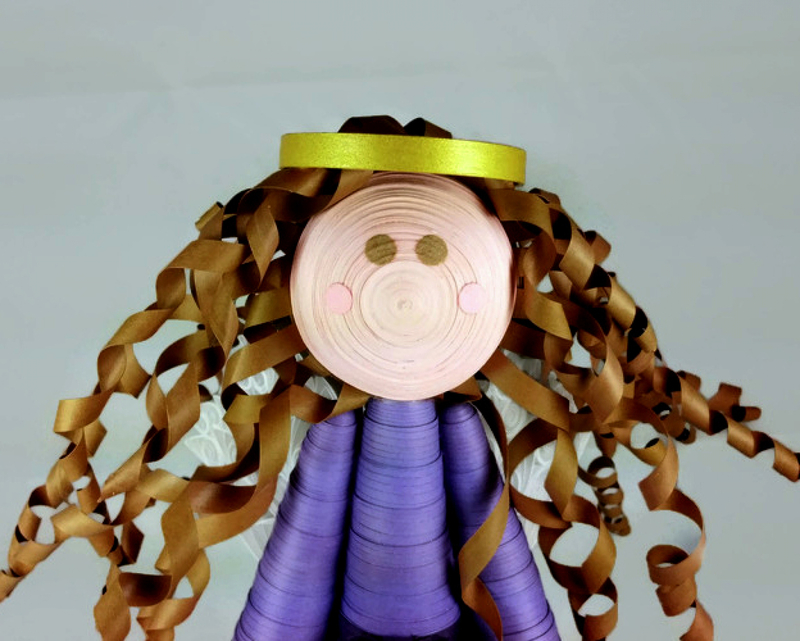 She will adorn your tree and warm your heart with the spirit of Christmas. 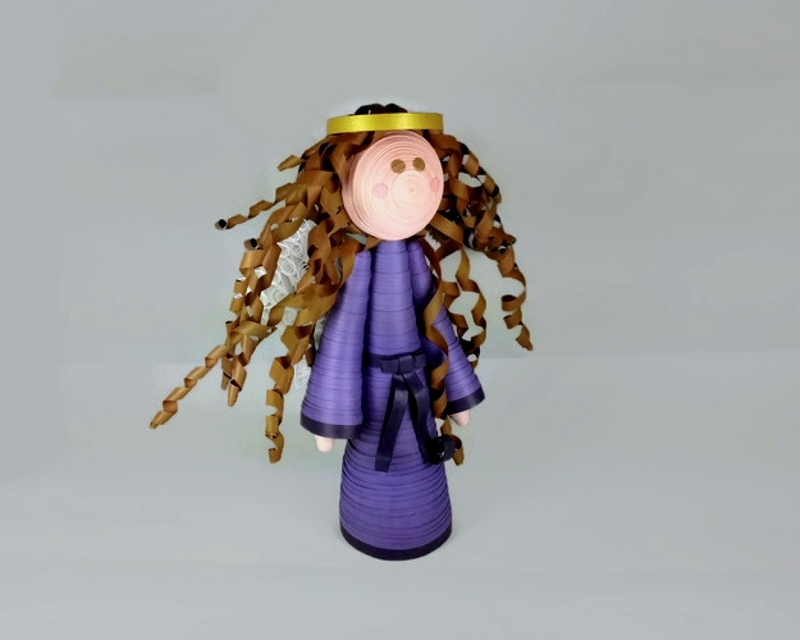 Your angel will be entirely custom made to order using your specifications from head to toe.